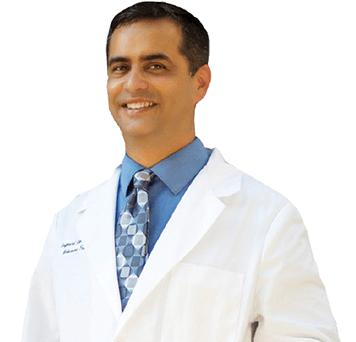 Board certified in dermatology, Dr. Raymond Ramirez earned his medical degree in 1997 from Nova Southeastern University College of Osteopathic Medicine. During his family medicine residency, he discovered his interest in dermatology. In pursuit of this passion, Dr. Ramirez worked as a malignant melanoma research fellow for three years at the University of California at San Francisco’s Mount Zion Cancer Center, followed by a year of dermatology medication research at Northwestern University. Dr. Ramirez completed his dermatology residency at Lutheran Medical Center in New York. Dr. Ramirez is dedicated to educating both the public and his fellow medical professionals about sun protection, skin cancers, and especially malignant melanoma, giving numerous talks on these important issues. He has also lectured at the UCF College of Medicine and is an adjunct professor with Nova Southeastern University. Dr. Ramirez has regularly trained medical students, interns, and physician assistants, focusing on the art of the differential diagnosis. Dr. Ramirez has been happily married since 1995 and has two active teenagers who are involved in soccer, dance, surfing, and longboarding. Dr. Ramirez’s main hobby is just being “Taxi Cab Ray,” shuttling his kids to their activities. Nevertheless, he cherishes the time he gets to spend with his wife and family. Beyond his daily parental obligations, Raymond and his family love planning family trips and dressing up in funny costumes for 5K and mud runs.